Anyone who has kept track of the window treatments industry over the years will have probably been astounded by the sheer developments that have taken the place. Once upon a time we were used to roller blinds, Venetian blinds and perhaps even the odd blackout thrown in there – but now these very same products are actually viewed as old and ineffective when compared to the newer models. However, don’t be fooled into thinking that this industry has immediately closed itself unless you happen to be worth a small fortune. While some technologies are costly, on other occasions you just have to engage in a little creativity to experience the true benefits of modern blinds on a budget. As the title of this post has indicated, we’re going to specifically target the treatments which focus on contemporary homes – those, which in theory in least, should cost us mammoth amounts of money to furnish. Fortunately, they don’t. If aesthetics is your thing, and you’re not bothered about the mod-cons such as motorized blinds, some of the contemporary-looking materials will barely make a dent in your bank account. For example, wood is viewed as one of the most premium materials around in this industry and unfortunately, it still remains expensive. 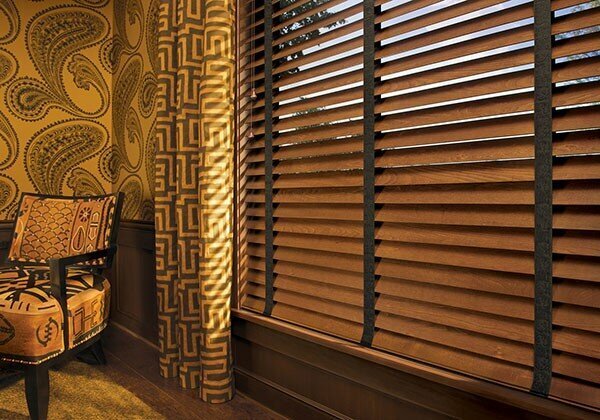 Manufacturers have realized the desirability of wood blinds though, and released faux products which mimic the appearance but aren’t made from the natural material itself. Ultimately, you’re left with a hugely contemporary looking window treatment, at a fraction of the cost of what a normal set of wood blinds would cost. We’ll now turn to another example; aluminum blinds. This is a type of product which has always been known to have been one of the cheaper ones within the blinds industry, but it also had a tagline of being somewhat unreliable. Now, manufacturers have improved their techniques and aluminum blinds are still inexpensive, but hold contemporary qualities that could work in any modern home. All is not lost if you do want to benefit from some of the major technology that has affected this industry over recent times as well. Motorized blinds might cost significantly more money than the options we have ciphered through above, but the savings that can be prompted through them can be incredible. The ability to have your blinds left open, and then closed, at set periods of the day should not be understated and this is something that you should consider when you are making your purchase decisions. It might involve a lot more initial cost, but over time the savings will completely dwarf this. The above can be used in several of the other modern window treatment examples. Solar shades and insulated blinds are more expensive than most traditional products, but the savings that they can bring to the typical household can border on the unbelievable. As we said initially though, if you do just have aesthetics in mind don’t be under the impression that this industry is only reserved for the filthy rich. Manufacturers have adapted and contemporary blinds, which still perform very well, can very much be purchased on a budget. Thank you! Yesterday I read one of those “prepare your apartment for sale” columns in the Home section of the NY Times — always an entertaining read. The reporter didn’t seem to see a middle ground between staggeringly expensive window “treatments” and a couple of cheesy panels from the Dollar Store that won’t cover the window enough to keep the neighbors from peering in. In fact, there’s quite a nice variety of mid-range to cheap ways to dress up a window, discourage prying eyes, and cut the glare of the sun blasting in through east-facing panes. Another strategy is roller blinds behind some attractive panels (to be had anywhere from Target to Pier One). Or those paper honeycomb blinds, exceeding cheap and probably pretty temporary, which can be drawn down when you want some privacy and raised when you’d like some light — also just fine behind inexpensive panels. Go for it…and don’t bankrupt yourself along the way! Wood blinds remind me of my parent’s home which was built in 1929. I have wood blinds and shutters in home now. They were here when we bought our home and I like them. 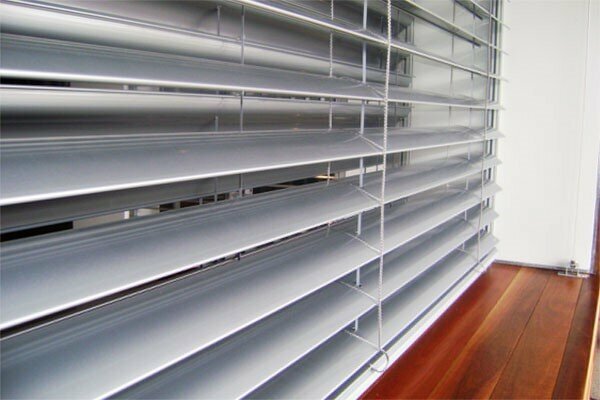 Whenever I see wood blinds, the first thought comes to mind is the japanese era. It’s like woods are put to good and creative use. These are very nice decorations.